Take a trip to Japan without leaving your kitchen, with these easy and authentic recipes to cook at home! Ramen noodles are a staple food for numerous families, especially for those families living on a budget. These noodles are also a staple in a number of cities since they are versatile and easy to cook. This book contains the simplest and the most delicious recipes that will help you make your meals interesting and crunchy. 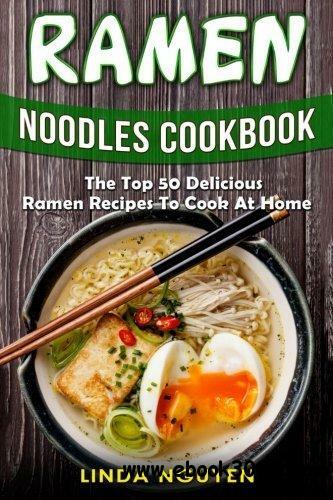 The noodle recipes in this book are spicy, sour and sweet. A number of recipes in the book can be prepared in a few minutes, which is an added bonus when one needs to prepare a quick meal. Ramen noodles are easy to make, so easy that children can make them too! You can tweak the recipes to make them more interesting to you. There are times when you will make your very own delicious ramen recipe, one you can share with the world. This book contains recipes for a number of different meals. If you are in need to prepare an easy, cost-effective and quick meal, this recipe book is for you.